Early Rivers Prolific Plum 2 year old £17.50 - Plums Apple Trees and Fruit Trees For Sale. Buy at competitive prices with wholesale discounts. 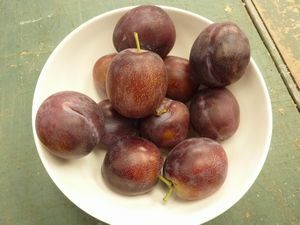 A dual purpose plum that has regular crops of dark plums. Popular in Victorian times.